Windows Hive editorial Poll #1: What is the Most Used Browser on Windows Phone? Poll #1: What is the Most Used Browser on Windows Phone? We did a small survey in Windows Hive about the most used browser on Windows phone and we got a pretty interesting info! We choose between Internet Explorer, Opera Mini, Surfy, UC Browser, Maxithon browser to vote and we got 174 responses in 7 days from our visitors. We asked - "Which browser do you use most on your Windows Phone?" As a result, we can see that UC Browser is leading with 95 votes, getting 54% of the whole votes. Internet Explorer is second on the run with 75 votes, getting 43% of the whole votes. Opera mini, Surfy and Maxithon browser got very few votes. This 3 got totally 4 votes which is actually out of the count. 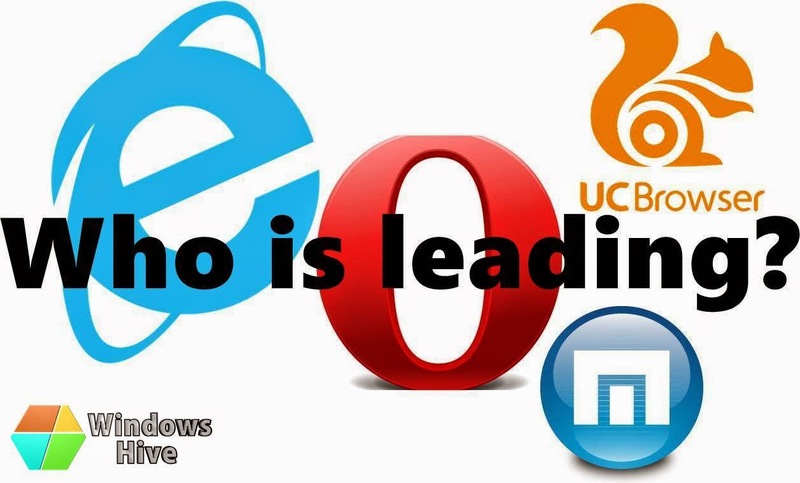 So we can see that UC Browser is leading the list even beating Microsoft's Internet Explorer! Well, there is nothing to get surprised. The UC Browser developers are really working hard for making their app better day by day and they are pushing regular updates and we must admit that they are pretty successful on it. Internet Explorer is one of the best creations of Microsoft, but still it is not leading, why? There must be some reasons. The browsing power of Internet Explorer on Windows Phone is no doubt great but this lacks few things. Browsing speed of Internet Explorer on Windows Phone is not as fast as UC Browser. The downloading side is not as good as UC Browser if we compare it with UC Browser. There is no actual homesrceen of Internet Explorer on Windows Phone if we compare it with other browsers. Maybe these could be the reasons. Opera softwares launched Opera Mini public BETA for Windows Phone but I think they are not serious on developing their app on Windows Phone. Lots of bugs to fix they are very lazy to push updates for the app. About the other two web browsers, maybe most of the Windows Phone users don't know about those or they don't like those. Hopefully those will be better soon! Readers, what is your opinion about the above poll result? According to you, is the popularity list upto mark? sound off below!